made from real wine barrels. 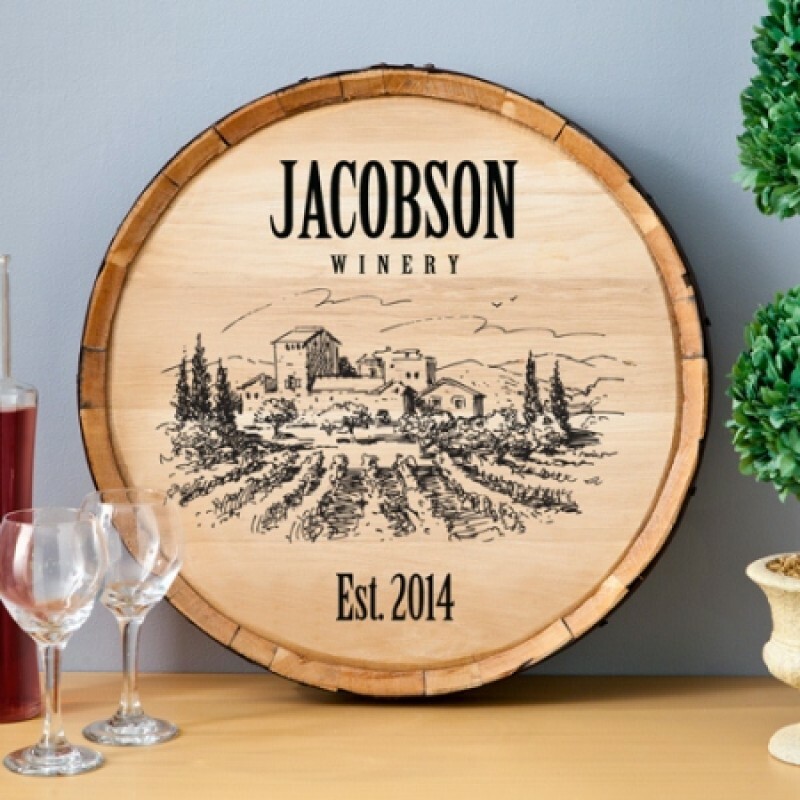 The wine barrel can be made custom to accommodate up to 20 characters, ideal for displaying the family name as well as the year it was established. There are also Seven different designs to choose from for the wine barrel sign. They also come with an aged metal hoop that surrounds the sign, just like old wine barrels. This rustic, unique wall decor is a great gift for friends or for your own home. SIZE: SIZE: Wood signs made from Oak barrels measure roughly20” - 22” round and are 3” - 4” thick.